X-Men Adventures Review – AiPT! X-Men fans should snooze on this one, but for those interested in diving into the world of mutants and mansions, this is a must-have. The recently released trade paperback, X-Men Adventures, isn’t for everyone, but for fans new to the ever-expanding world of X-Men, it’s perfect. The Marvel digest book collects Uncanny X-Men #1 and 19 as well as Uncanny X-Men: First Class #5-7. You can easily read the book cover to cover in one sitting and, unlike practically every other comic book out there, you don’t need any prior knowledge. X-Men Adventures is also perfect for younger readers since it doesn’t contain a lot of violence. With that being said, this book is not for X-Men fans. As someone who has read hundreds of X-Men comics, I found this particular title a little boring. Even though I hadn’t read Uncanny X-Men: First Class prior to picking up this trade volume, I don’t feel like it’s necessary for fans who are already well-versed on their X-Men trivia. After all, Uncanny X-Men: First Class was a series dedicated to “revealing” the early days of the X-Men to fans unfamiliar with classic issues of Uncanny X-Men. The issues included in the book are there to introduce new readers to new characters — that’s the primary goal. The only tidbit of characterization that I found slightly unique was the interaction between Cyclops and Phoenix in Uncanny X-Men: First Class. As brief as it is, we get to see Cyclops’ reaction to Jean’s recent transformation into the Phoenix. Unlike in the old issues of Uncanny X-Men, this modern look at the past reveals a very open version of Scott who admits that he feels as though Jean’s a completely different person post-Phoenix. We see a little bit of this pre-Dark Phoenix Saga in Uncanny X-Men, but I did enjoy seeing that conflict in these few issues. While this book was clearly built for new X-Men readers, it isn’t exactly easy to read. The difficult thing about making a digest book on the X-Men is their huge, looming history. Without proper background knowledge on characters like Storm, Phoenix, and Lilandra, there is no way a new reader can possibly understand what exactly is going on during the second half of the book. I wish there was a way to create a short, simple digest book about the X-Men that anyone can just pick up and understand but I honestly think it’s impossible. Comics are sprawling and the X-Men, with their hundreds of members, is especially so. I think the editors did a good job picking the issues that they did, but they were going into an unwinnable battle. If you plan on going out and picking up this digest book with the intention of blindly delving into the world of X-Men, I’d advise you to have Wikipedia open and ready because you’re going to have a lot of questions. I think this is a good book for kids, since all the dialogue is fairly easy to follow, but they might struggle with understanding parts of the plot. Some of the 1960s slang used in Uncanny X-Men might be a little foreign to twenty-first-century youngsters too. For X-Men fans wanting to grab the newest X-affiliated title on the shelves, I encourage you to pass this one. You most likely are already familiar with 99.9% of what’s covered in X-Men Adventures. Of course, if you want a refresher, this might just be the trade for you. 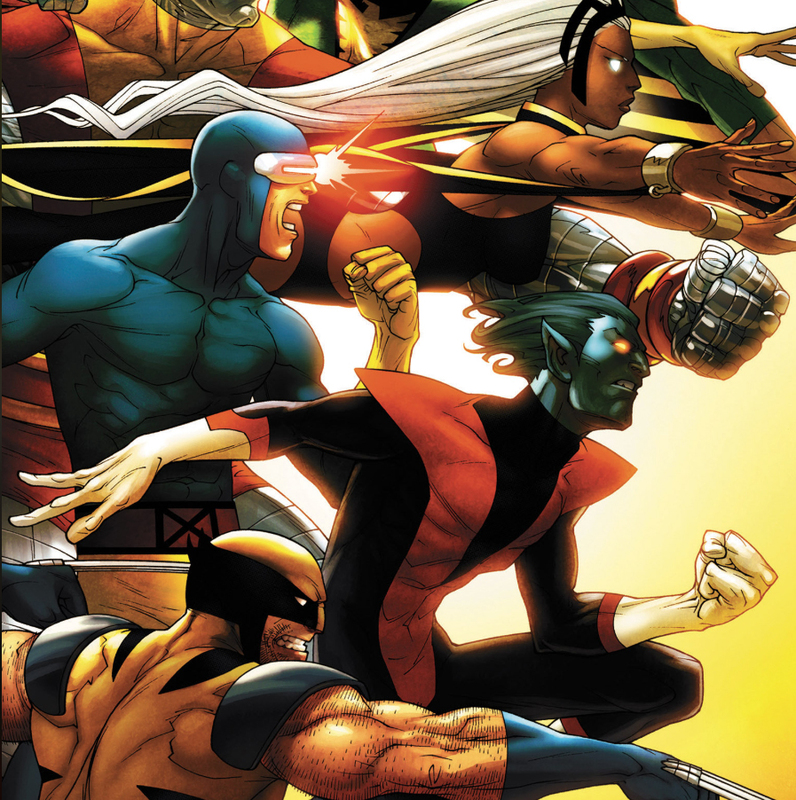 Longtime X-Men fans will find this digest book too surface level to enjoy, but new fans will enjoy how the carefully chosen issues help introduce classic characters and villains. Still, new readers shouldn't be completely new to the world of X-Men and should have some knowledge of the vast X-Men franchise in order to enjoy the book. Perfect for new X-Men fans who want an introduction to the franchise. There are a few moments of surprising characterization that avid X-Men fans can enjoy. While some of the storylines may be too advanced, most of this book is great for children. X-Men fans will find this book boring and a little repetitive. Even though it acts as an introduction, new readers will still have to bring some X-Men knowledge to the table in order to understand everything.